Mascara Area, Algeria, Summer 1961. Typical French Fort for a small harka unit. This unit counted 48 "harkis", Arab origin, fighting along the French troops. 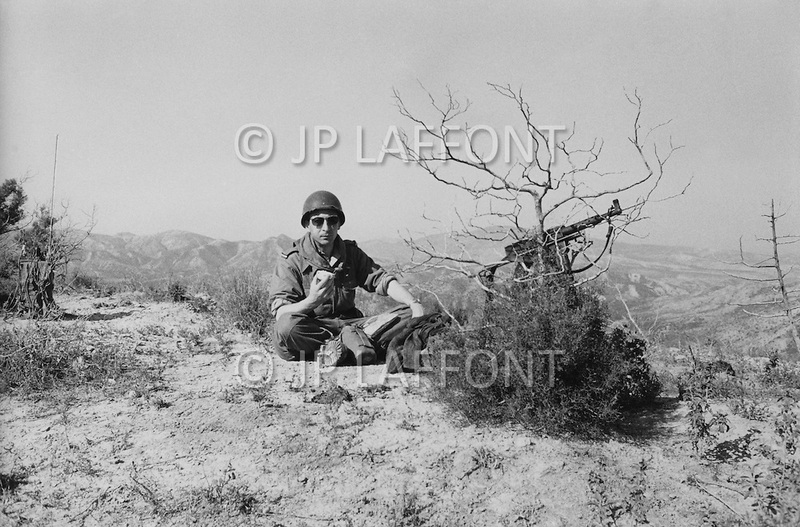 Under Lieutenant JP Laffont comanding Officer during a pause at the end of a military operation.